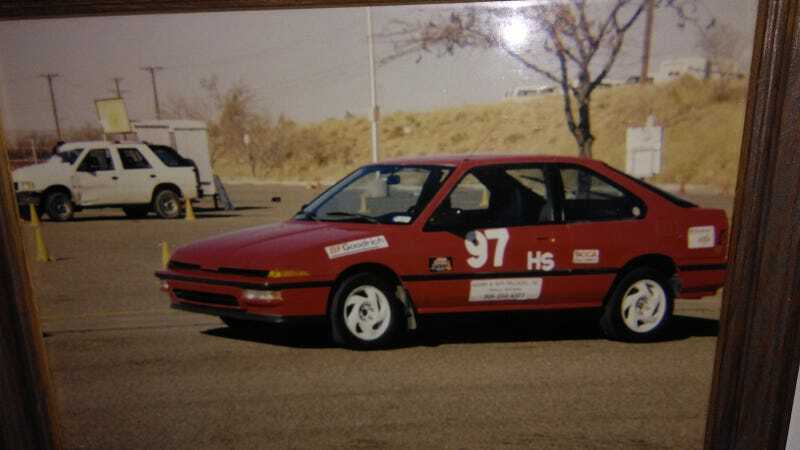 This was taken at an autocross in Albuquerque back in 1996ish not long after my Dad purchased the car from my Aunt. It probably had around 75k on the odometer at the time. The race tires (BFG R1's, the old school ones that Kumho copied for thier later victoracer, as opposed to the current tire BFG calls the R1) were mounted on a set of factory white wheels from a prelude. All numbers and such were magnetic. Then I had to go make it a real racecar. It does only have 132k on it, which probably makes it one of the lower mileage g1tegs around. To be fair, the last few thousand miles have been a bit harder than average use. You also end up with a large file when a 29 year old car stays in the same family and every document from the original window sticker is kept.